Chris is a great inspector who worked with fast turn around and completely honest. The report he wrote was very detailed and informative. Thank you, Chris and will refer you to other friends. 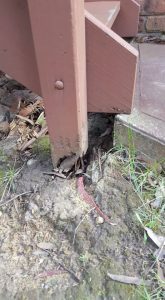 You need to know that you are buying, a structurally sound property with no safety concerns. Structural problems in a building can cost a lot of money to rectify, and could injure or kill someone. All Australian homes must meet the requirements set down by the Building Codes and Standards of Australia. If you buy a house that doesn't meet these standards and you don’t do anything about it, you could be liable if someone gets hurt. You will be responsible for the cost of bringing the building up to the BCA code plus when you sell, the next building inspector will find the same issues and you may have trouble selling. Getting a pre-purchase building inspection you can assist in avoiding these stresses. 2. Cost to fix problems. You may feel it is worth buying the property even though it needs a bit of work because it is cheap, and property market is booming. 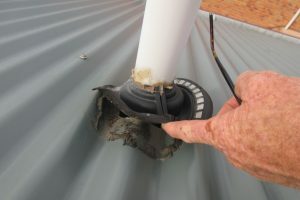 However, buying a house without getting a building inspection can cost thousands of dollars because of hidden problems. By having a building inspection, you will find out what you are buying and what needs to be repaired or replaced. It will give you the chance to get the relevant trades people to provide you with a price prior to purchase so you are aware of the costs involved. 3. Smoke alarms and electrical wiring. Smoke alarms save lives, a building inspection will tell you how many smoke alarms the building has, and whether the meter board and electrical wiring is up to the current standard, If it has a Residual Current Device fitted. You can’t put a price on a human . 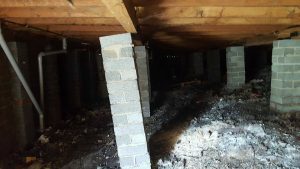 A good building inspector will uncover things like cracks, asbestos, sub floor issues, unsafe wiring, poor drainage, unsafe decks, broken pipes amongst other issues. All of which cost money to fix, but also allowing you to choose if you want to buy, knowing that those issues need to be fixed. 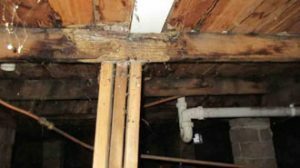 Saying no to a pre purchase building inspection may seem like you can save a few hundred dollars, but do you really know what to look for to ensure the building is safe and that it meets all the council and Building Code of Practice. Regulations are paramount. A pre-purchase building Inspection could stop you from making the biggest mistake of your life, for a few hundred dollars it is peace of mind. There is no contract cooling off period, unlike in other states, if you find a problem without a building inspection clause in the contract, you are locked in with no way out. A thermal imaging camera can read the smallest area to an entire building envelope, This data is converted into a visual pictures that colorizes heat, making it very easy to read identify thermal issues within the building.